When I think of Spring I think of bright sunny days, strawberry rhubarb crisps, green garlic, and blooming wildflowers. But what happened to Spring? One day I’m scratching my eyes out and the next day I’m wet, cold, and miserable. It’s gray outside and Spring is anything but gray! We’re supposed to go salmon fishing tomorrow at Half Moon Bay but the whitecaps in the Bay only mean one thing: we’re not going anywhere. How do I get out of this rainy-spring-day-funk, I wondered. Luckily, I remembered I have fresh asparagus and brown eggs from the Farmers’ Market yesterday. And there’s Thomas Keller to the rescue. So I grilled a bunch of sweet asparagus spears, poached some eggs, fried some bread, got some prosciutto from the deli and made Ad Hoc at Home’s elegant yet simply delicious grilled asparagus. Season the poached eggs with salt and freshly ground pepper. 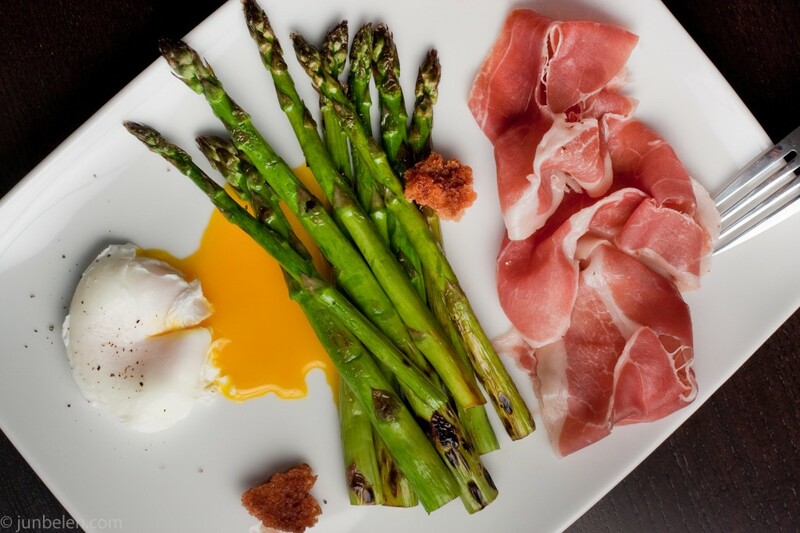 Arrange the grilled asparagus, poached eggs, prosciutto, and croutons on the platter. Drizzle with olive oil and balsamic vinegar, and sprinkle with fleur de sel and freshly ground pepper. Make this salad a sandwich by topping a piece of toast with layers of prosciutto, grilled asparagus and poached egg. Either way, grilled asparagus is a wonderful Spring treat, rain or shine. Asparagus spears are at their best when the blossom heads are tightly closed and the stalks are smooth, firm and brightly colored. Thinner spears are usually more tender but the fatter ones are sweeter once they are peeled. Choose similarly sized asparagus so that they will cook evenly. To prepare asparagus, hold a spear and bend until it snaps. The spear will break at the point where it becomes tender. Trim all the asparagus to the same length. For medium to large spears, use a peeler to remove the paper-thin layers of skin to expose pale green flesh. Start about 1-inch below the blossom head and peel down along the spear towards the cut end. 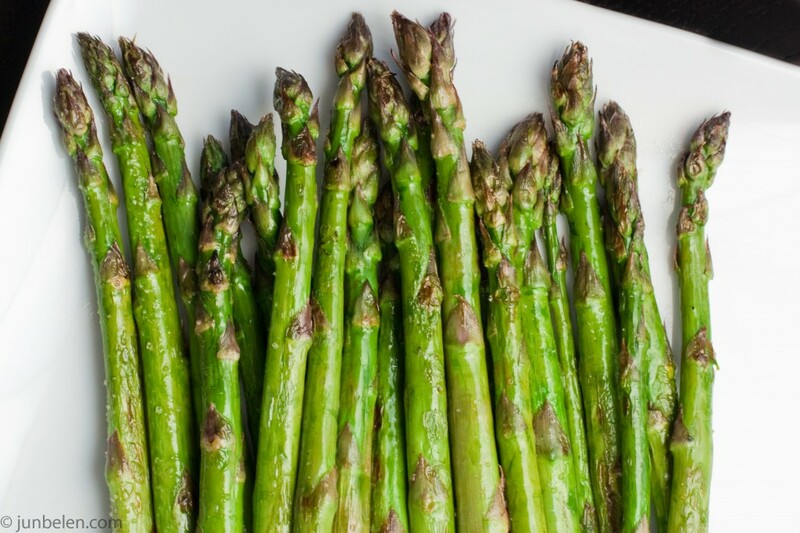 Coat peeled asparagus uniformly with olive oil and sprinkle with sea salt and freshly ground pepper. 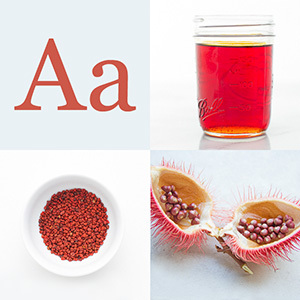 Place them as a single layer on the grill or use a grilling basket. Grill for about 3 to 5 minutes, roll the spears and grill for another 3 to 5 minutes or until tender. To poach eggs, bring 6 to 8 inches of water to a boil in a large deep pot. Add the vinegar to the boiling water and reduce the heat to a simmer. Crack an egg into a small cup or ramekin. Using a wooden spoon, stir the water at the edges pf the pot twice in a circular motion to get the water moving, then add the egg to the center of the pot and simmer gently for 1-1/2 minutes, or until the white is set but the yolk is still runny. With a pair of kitchen shears, gingerly trim the tail or any uneven edges from the poached eggs. With a slotted spoon, carefully transfer the eggs to an ice bath. Skim and discard any foam that has risen to the surface of the water, and poach the rest of the eggs one at a time. 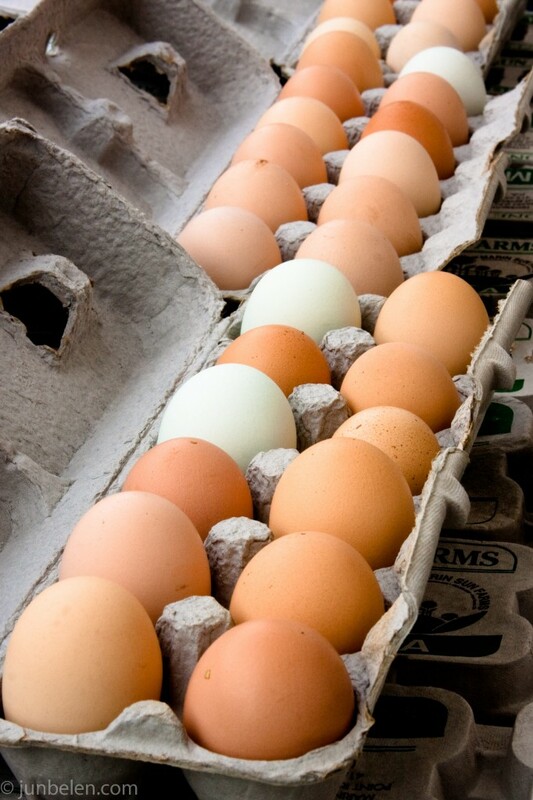 Eggs can be poached several hours ahead and stored in ice water in the refrigerator. When they are ready to be served, bring a large pot of water to a simmer, reheat the eggs by lowering them into the simmering water for about 30 seconds using a slotted spoon. Keller notes that cooking the torn pieces of bread very, very slowly is the key to making these garlicky croutons. Cut the crusts off the loaf of white bread. Tear the bread into irregular pieces no larger than 2 inches. Measure about 3 cups of torn bread. Make garlic oil using freshly peeled garlic cloves and canola oil. Put the garlic cloves in a small saucepan and add enough oil to cover them by about an inch — make sure the cloves are fully submerged in oil. Cook the garlic over medium-low heat. Keller notes that the garlic should cook very gently: very small bubbles will come up through the oil, but the bubbles should not break the surface. Adjust the heat as necessary. Take the pan off the heat if the garlic is cooking too quickly. Cook the garlic for about 40 minutes, stirring every 5 minutes or so, until the cloves are completely tender. Remove the pan from the heat and let the garlic cool in the oil. The garlic oil can be refrigerated in a covered container for up to a week. Pour 1/8 inch of the garlic oil (without the garlic) into a large saute pan and heat over medium heat until hot. In place of garlic oil, pour 1/8 inch of canola oil into a saute pan, add 5 crushed, peeled garlic cloves, and heat over low heat until the garlic cloves are golden brown, flipping the cloves from time to time. 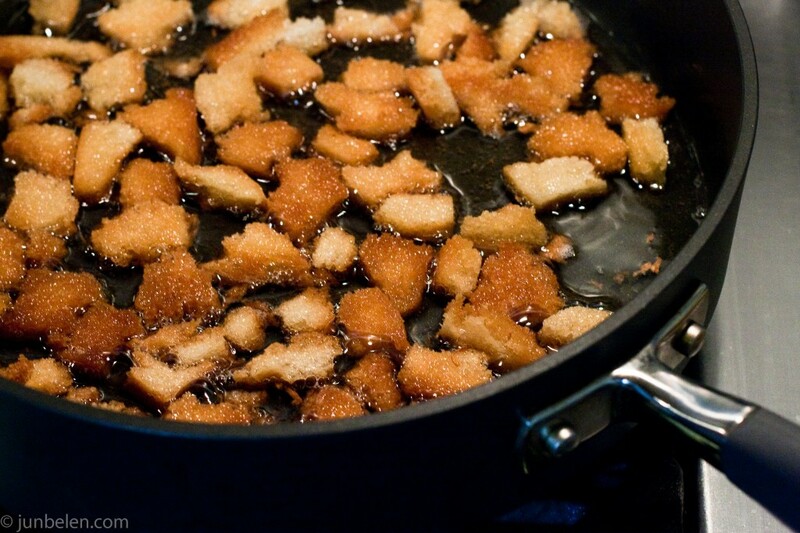 Remove the garlic cloves and use the oil to fry the bread croutons. Spread the torn bread in a single layer. Add the butter. The oil and butter should be bubbling but not sizzling, which means that the heat is too high. Adjust the heat as necessary, and stir the croutons often. Cook the croutons until they are crisp and golden brown on all sides, 15 to 20 minutes. Move the croutons to one side of the pan and keep them warm until they are ready to serve. Keller notes that they should not be drained on paper towels. The garlicky flavor of the oil should remain with the croutons. Keller suggests that they should be used the day they are made and they can be reheated in a low oven before serving if necessary. Great entry, fantastic pictures. I am in love with Keller!! Thanks, Cindy. This grilled asparagus salad is actually one of my favorite Keller recipes – so simple yet so elegant. i can imagine how great they would all taste together. What’s the Buzz About Marshall’s Farm Honey?